Your opinion on "silver" or silver-colored bands? Nothing but! Pipes look so much more classy with them. Nah, I'll pass thanks, they're kinda gaudy/prefer a lower profile pipe. Eh, I can take them or leave them. Doesn't make or break a pipe purchase. Depends entirely on the specific shape and finish of the pipe in question. OK, not necessarily just real silver bands but silvery-looking bands in general, what does everyone think of them? 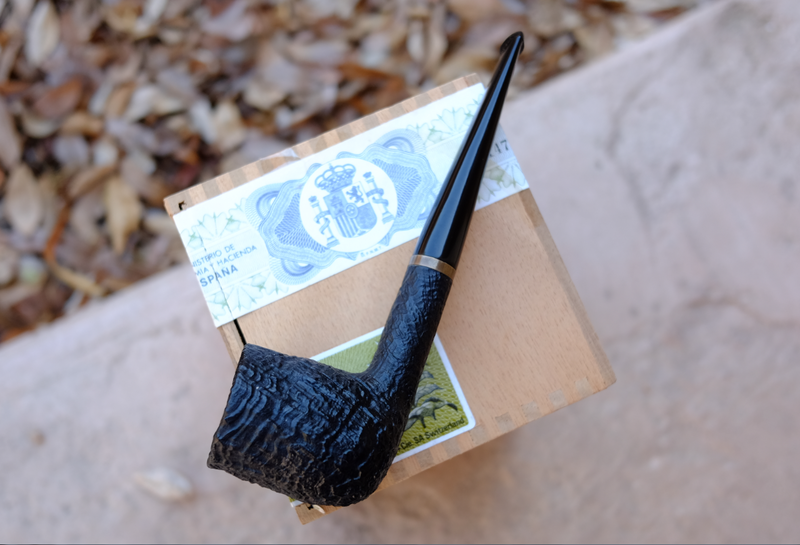 Over this past year I've migrated from a "I can take or it leave it" attitude to more of a "must have it" stance and have actually sold a few pipes to make way for shiny-banded versions. I like silver on a pipe. It can be eye catching if done right. But if there is a lot of it, the pipe is heavy. That I don't like. So a small band is fine. Some of the old English silver pipes with solid silver rim caps and bands look great. But they are lunkers to smoke. You pretty much have to hold them in hand for the duration. But most of the new pipes I've bought don't sport any jewelry. I'm okay with that. I'm in the "take it or leave it" camp. Mostly I dislike silver on a pipe but in some cases (like a Bing for instance) they're necessary. Keeping silver polished is a bother. I think I’ve only got one or two pipes left with silver bands. It really depends on the pipe for me but I’m too lazy to polish a bunch of them regularly, so I’ll never have many. I like 'em. Depending on the application they can either lend a 'toolish' aspect to a pipe, or an elegant one, and both of those options fit my tastes. If we expand the question to almost anything else as an accent though, I'm very much on the fence. I've seen some pretty classy silver army mounts. I have 3 or 4 with silver bands, that will be all, I've restricted future pipe purchases in an effort to control my PAD to not buy any pipe containing any metal or filters. That's the plan anyway. Sure cuts down on the desirable Savinelli and Peterson offerings of today, lol. One of the nicest silver band pipes I ever had was this Ferndown. Really elegant. I like the touch of silver on Ardors like this. I like silver bands, but I don’t polish them often. I like the tarnished look, it give character. I prefer to do without them. Sometimes they are required for structural stability. Never had a cob with one of them. I prefer Nickel. If silver could polish itself I'd prefer it to Nickel. I can take them or leave them. I don't have any with a silver band, but I'd buy one if the right pipe came along. Perhaps cobs are elegant looking enough already! yes it does with a pipe like this. only if it's a unicorn. And that would be my daughter's not mine.